The Cordyceps is a rare species of fungus (mushroom) widely used both in clinical medicine and as a household remedy. It is also considered potent at strengthening lung and kidneys, increasing energy and vitality, stopping hemorrhage, decreasing phlegm, and as an overall tonic.The Cordyceps sinensis, a combination of insect and plant remains inactive in winter and comes out in summer. Of the two types, the black one is more expensive than the white.In Bhutan Cordyceps (Cordyceps sinensis) locally called as "Yartsa Goenbub" which is an insect parasite fungus having high commercial demand as tonic/aphrodisiac. Cordecypes sinensis is good for reinforcing the lung and kidneys, arresting bleeding and dispelling phlegm. It is taken for shortness of breath, asthma, impotency, emission, soreness of loins and knees, dizziness and tinnitus. The New York Journal of Medicine reported that Cordyceps has properties similar to Ginseng, being used to strengthen the body after exhaustion or long term illness. 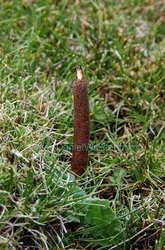 It has traditionally been used for impotence, backache, to increase sperm production and to increase blood production. 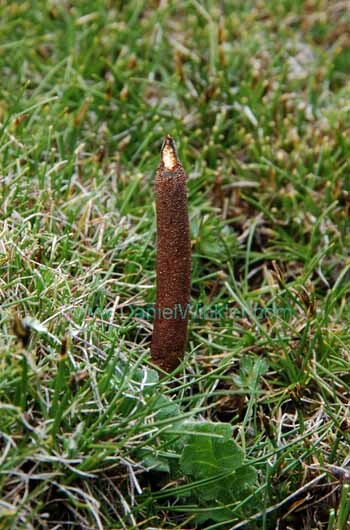 In China, Cordyceps is used medically to regulate and support the gonads and as a lung and kidney tonic. It is used specifically for excess tiredness, chronic cough and asthma, impotence, debility, anemia, to build the bone marrow and reduce excess phlegm. 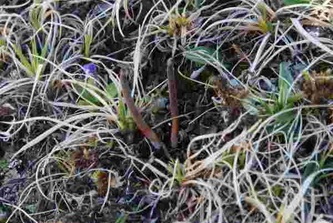 The cordyceps grow from May 1 to the beginning of July and farmers are permitted to collect the plant from June 1 to 30. The government will charge a royalty of 10 percent from what farmers earn selling the cordyceps to the authorised buyers and exporters. 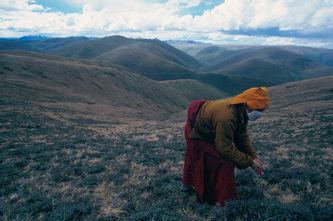 Bhutanese farmers are allowed to harvest them. 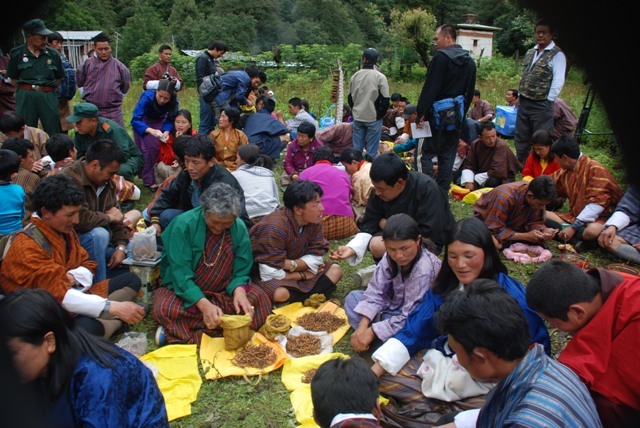 People in the higher regions of Paro, Thimphu, Wangduephodrang, Gasa, Lhuntse, Trashigang, Trashiyangtse, Haa, and Bumthang can now harvest the Yartsa Goenbub (Cordyceps sinensis) legally, following a royal command issued by His Majesty the King on June 17, 2004.In 2002 the harvesting of the cordyceps was legal only in Lunana geog under Gasa dzongkhag where the living condition of about 158 households has reportedly improved. 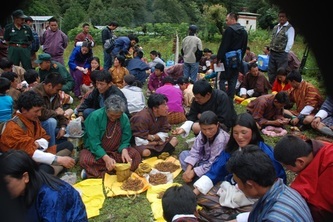 The people are now able to buy more rice, chillies, better clothes and renovate their houses. 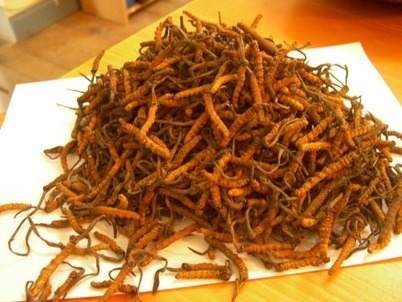 Every year each family sells about two kgs of cordyceps worth Nu 20,000 to Nu 60,000 a kilogram. The farmers are allowed to harvest and sell the cordyceps on condition that they do it on a sustainable basis. 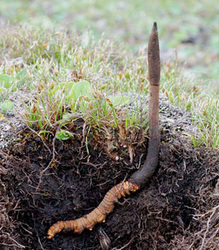 Managing Cordyceps harvesting has proved to be extremely difficult because the high alpine areas are very remote with major collection areas near the border of the Tibetan Autonomous Region of China. Cordyceps collectors have to climb the highest mountains in the cold snowy winter. After spending several nights on the way they reach the place where they can harvest cordyceps. Temperatures will be in negative. As there won't be any shops in such places, they have to carry everything that they need during their stay. Some people suffer from altitude sickness and there are also many cases of accidents including death.